The lead of After on Harry Potter, juggling three jobs, and playing the bad boy in our full Spring 19 interview. 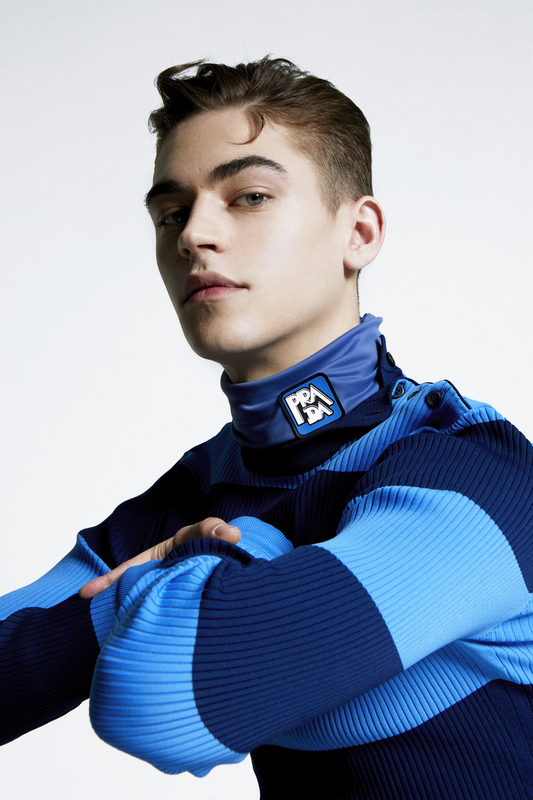 He’s already claimed his space as the new heartthrob to know, but Hero Fiennes Tiffin hasn’t even shown the world his first starring role yet. This April, he’s due to set screens — and teen hearts — alight in the film adaptation of the book that’s been read one billion times, Anna Todd’s After. 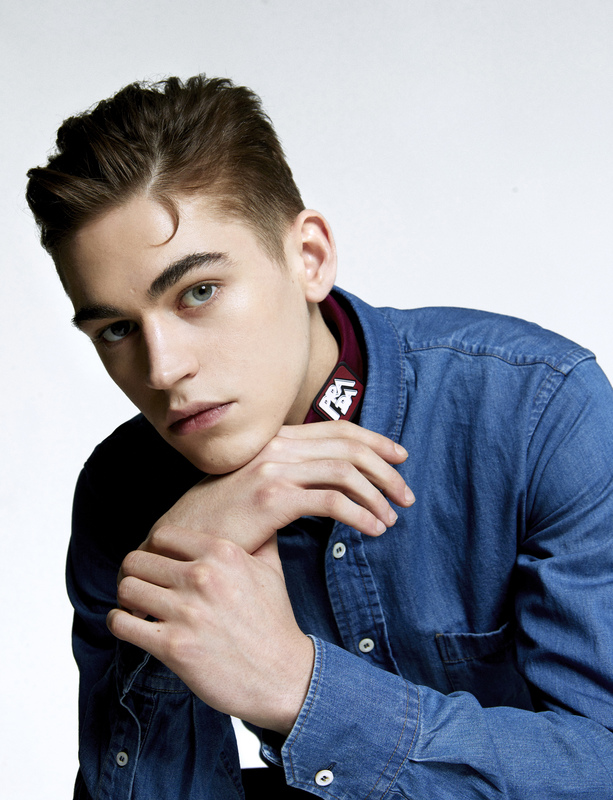 “Sorry one second, I think my mum’s at the door,” Hero Fiennes Tiffin says hurriedly. “‘Do you have a key, Mum?’” He shouts in the distance, “‘Yeah I’m just doing a phone interview. Yeah, it’s alright.’ Sorry she’s got keys. Where were we sorry?” His South London lilt slides much more smoothly through the receiver once again, and the actor explains apologetically, “I still live with my mum.” But being just 21, his stress on “still” is both endearing and not entirely necessary. 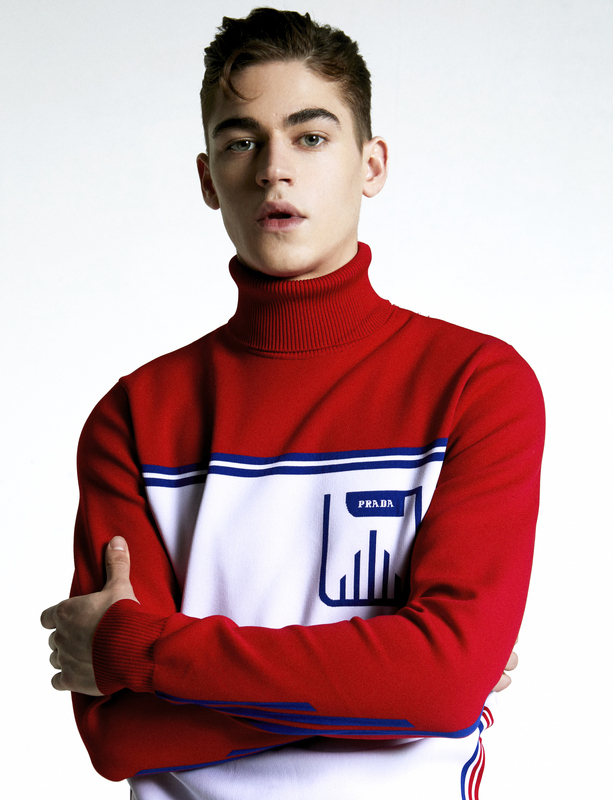 I’m eavesdropping on a perfectly conventional cross-section of family life for most 21 year olds, but at the moment, Fiennes Tiffin is living in a limbo of sorts. When we speak in February, he’s living almost as anonymously as any one of his peers, enjoying downtime between jobs and rounding off his “normal childhood”, embarking on the ascent to fully-fledged adulthood that we all eventually face. The only difference is that in two months’ time, he’ll be projected onto cinema screens worldwide, having won the leading role in the film adaption of After, a story read over a billion times. “The best way that I feel to do auditions — especially when you’re starting out and you’re doing loads of them — is to try and just do the audition and forget about it and put it out of your mind,” he audibly shrugs, casually explaining the first steps of his current life overhaul. “Once you’ve done what you do on the day, there’s nothing more you can do.” A fair assessment for a newbie, but what he didn’t realise is that the audition he went into with few expectations would land him with a ready-made army of ferocious fans and the kind of reception most established performers dream of. 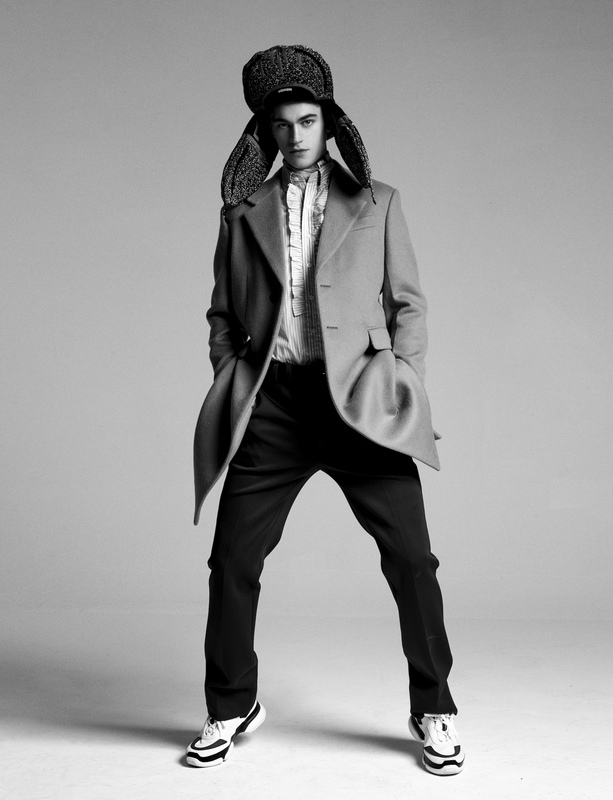 With a few acting credits to his name, most notably as a young Tom Riddle in Harry Potter and the Half Blood Prince (yes, the older iteration of his character, that Fiennes, is his real life uncle), Fiennes Tiffin’s career was on track for a burgeoning thesp, but things got serious when he decided to give up his studies at 18 to pursue a career in acting full- time. “I realised that I was doing a bunch of auditions that I had to do late at night or an inconvenient time, because I’d had coursework to do, and I was working at a food business as well,” he explains. “Juggling all three, auditions were the only thing where there wasn’t an immediate punishment, so it was the easiest one to take a hit and put at the bottom of my priorities.” Knowing he didn’t want to go to university and follow up on any of the subjects he was taking, he “realised the only way to put the right amount of pressure into acting and auditions was to dropout of school”. Then came After. Written and posted out of sheer boredom on online storytelling platform Wattpad by its author, Anna Todd, After began in its simplest form as a Harry Styles’ fan-fiction. Write the One Direction singer’s name anywhere online in relation to the story (that went on to become a five-part series), and await thousands of responses from readers setting the record straight, so let me clarify: Styles’ likeness was only used as inspiration for the dreamboat looks of the love interest for protagonist Tessa Young (called Anna after her creator in the books). Named Hardin Scott in the screen adaptation, the bad boy is your quintessential rebel, who diverts the sweet and studious Tessa from a future on the straight and narrow path that’s awaiting her. It’s a tried and tested formula, but in the case of After its one that’s morphed into a phenomenon. The online chapters have been criticised for including factors that aren’t fairytale-worthy in Hardin and Tessa’s relationship; details like alcoholism, jealousy, punch-ups and what some commenters have argued is emotional abuse of Tessa. 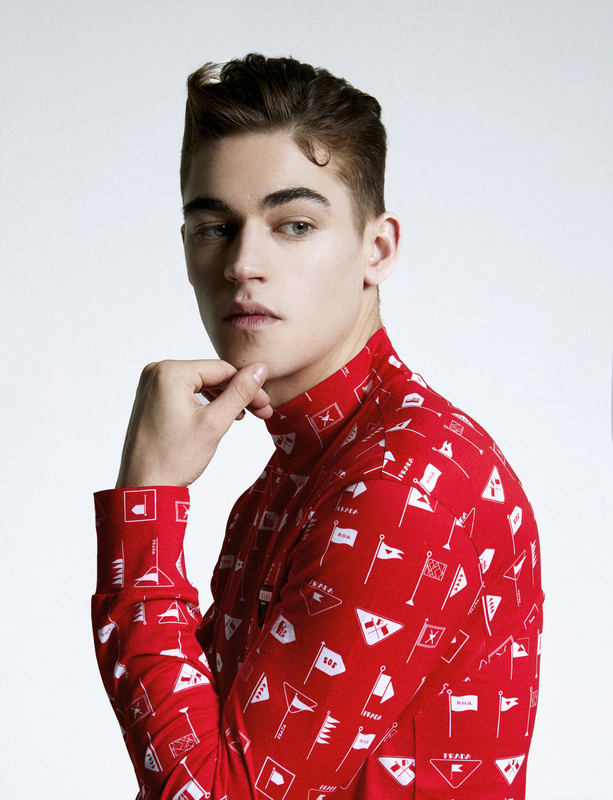 They’re all red flags Fiennes Tiffin is very much aware of, and while fiction is just that, care has to be taken to make sure these problematic plot-lines aren’t romanticised.